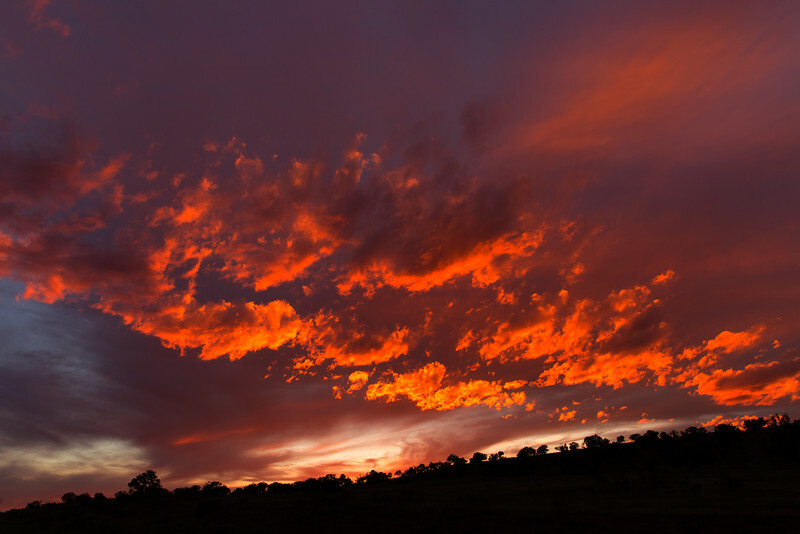 The setting sun causes clouds to explode with color over the Navajo Nation near Thoreau, New Mexico. 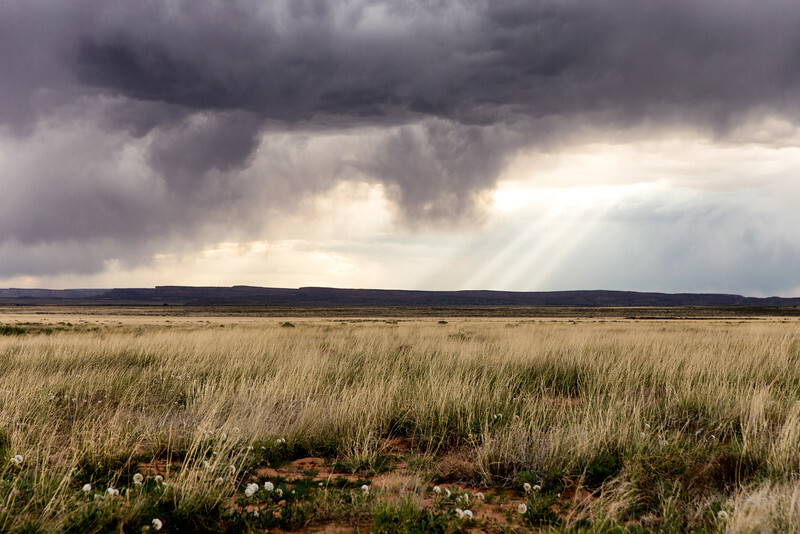 A spring thunderstorm rolls across the landscape outside Laguna, New Mexico. 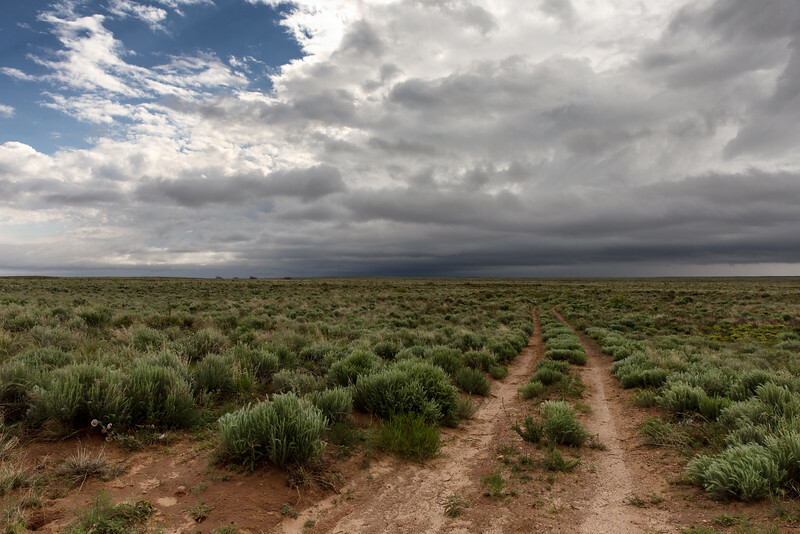 A thunderstorm rolls across the prairie north of San Jon, New Mexico. 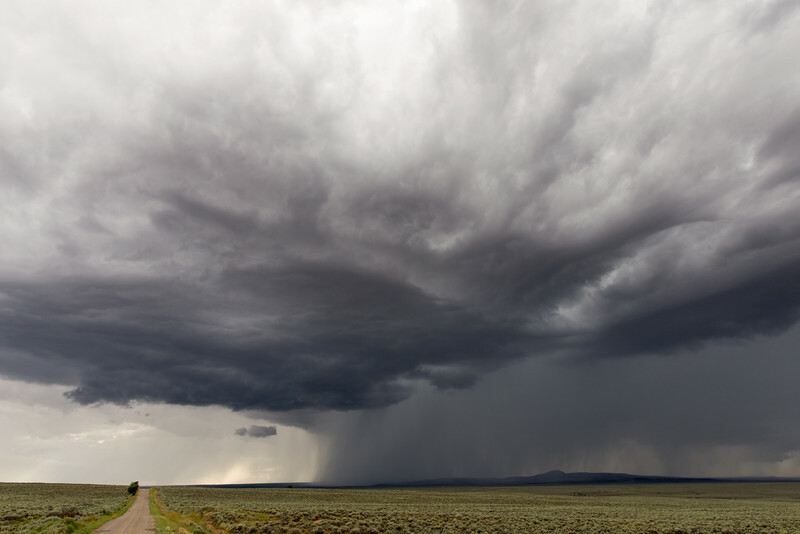 A summer thunderstorm crosses the Tres Orejas and the Carson National Forest in Taos County, New Mexico. 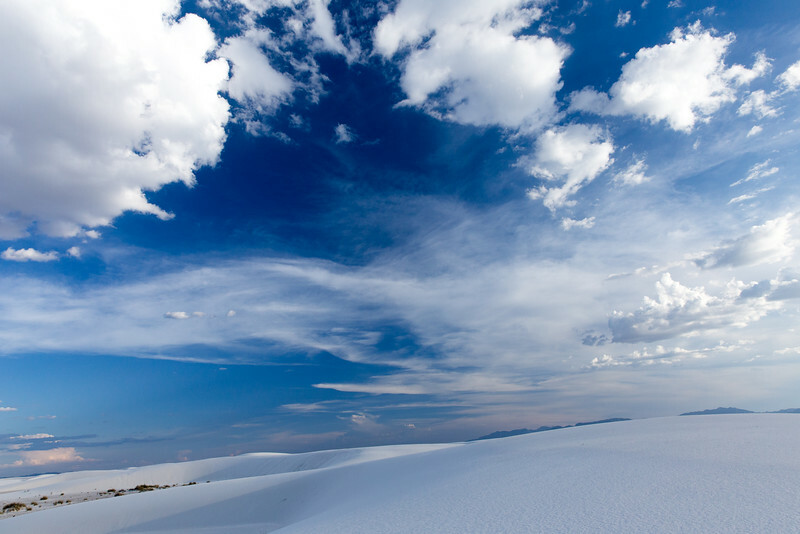 Afternoon clouds begin to form over the gypsum dunes at White Sands National Monument, in Otero County, New Mexico. 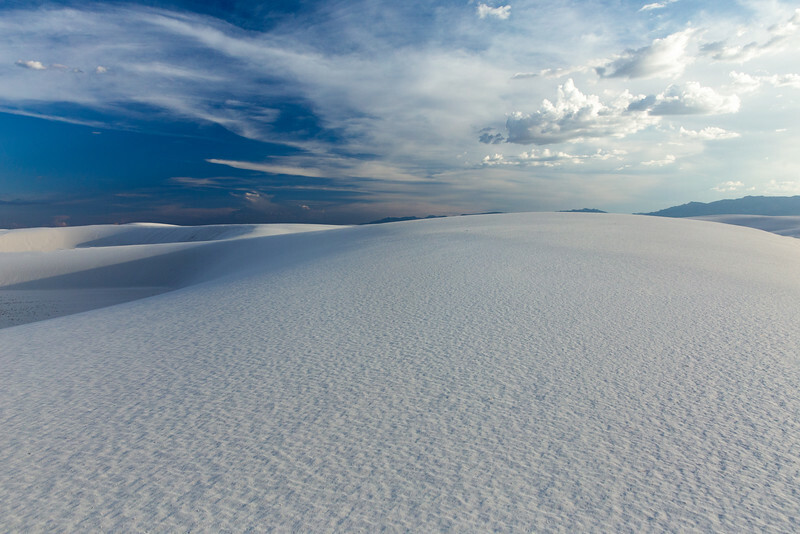 A lone yucca casts a shadow on a dune at White Sands National Monument in Otero County, New Mexico. 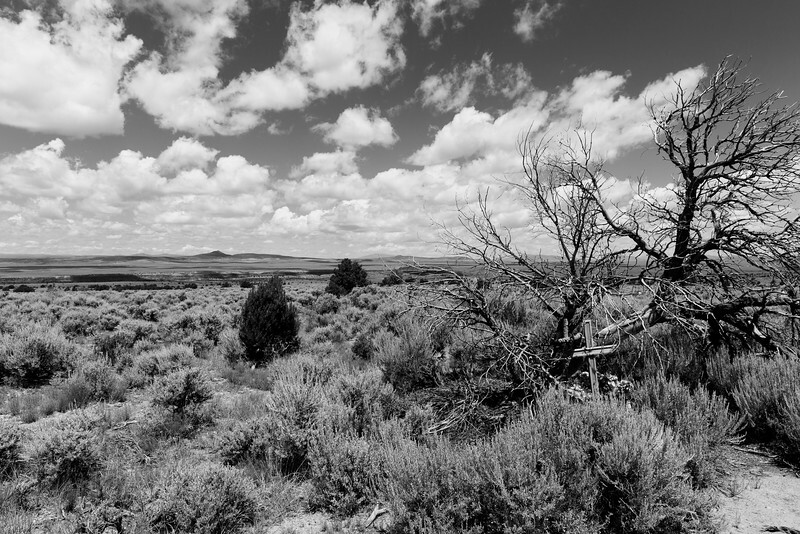 A memorial sits at the base of a dead tree in the Rio Grande del Norte National Monument near Ranchos de Taos, New Mexico. 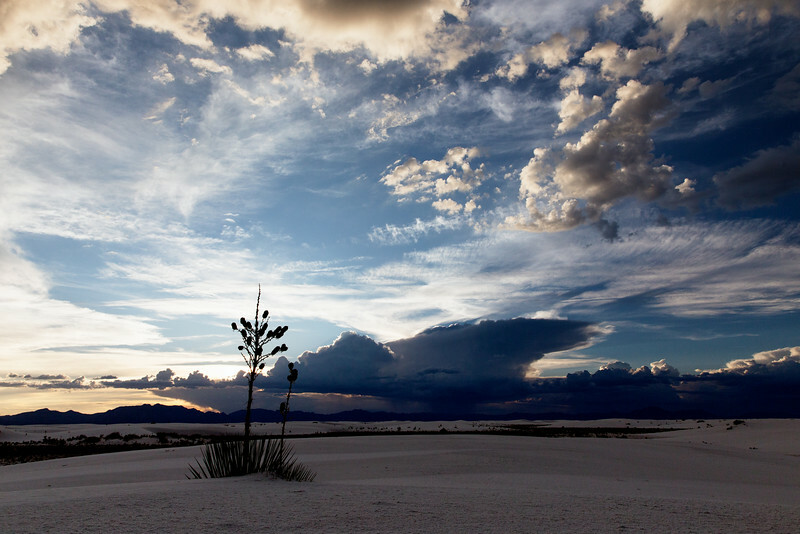 A summer thunderstorm builds above the San Andreas Mountains and White Sands National Monument in New Mexico. 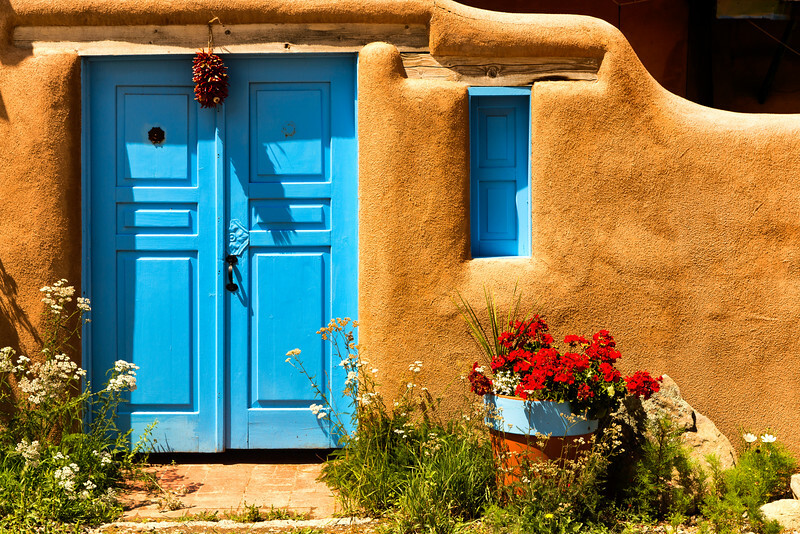 A ristra hangs from a lintel above a door in the plaza at Ranchos de Taos, New Mexico. The plaza dates to the 1770's. 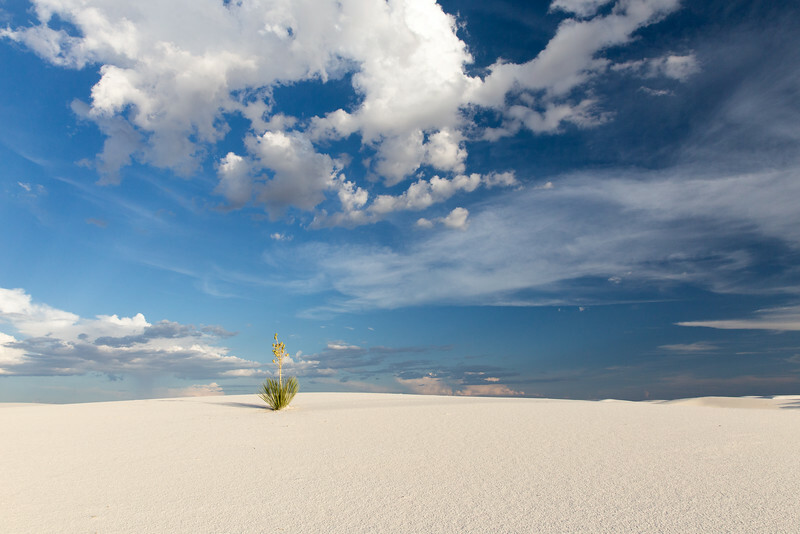 A dead stalk from a soaptree yucca casts a shadow on a dune in White Sands National Monument in Otero County, New Mexico. 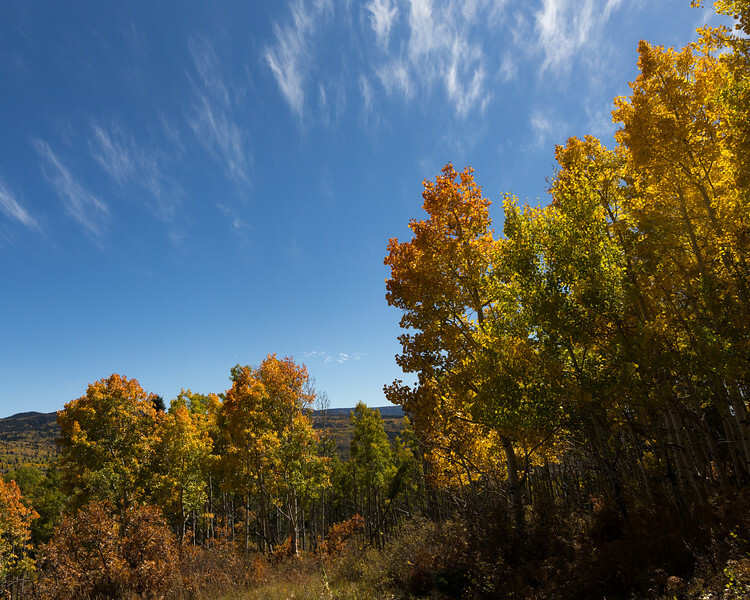 Clouds form in the sky above aspen trees on an autumn day in the Tusas Mountains in Rio Arriba County, New Mexico. 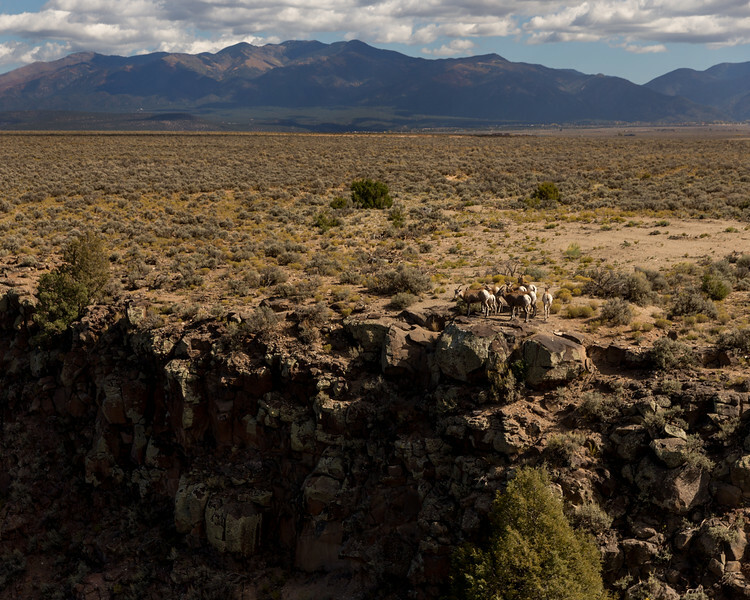 A herd of Rocky Mountain Bighorn Sheep gather on the edge of the Rio Grande Gorge in Taos County, New Mexico. 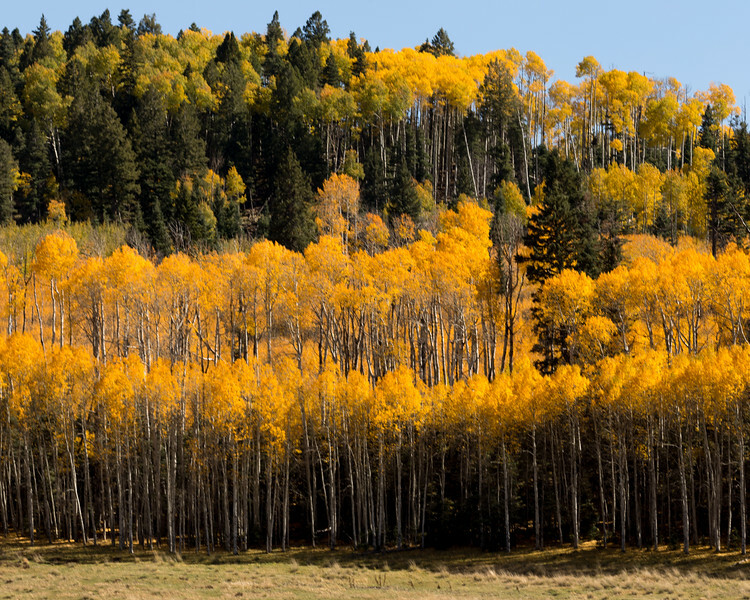 The leaves on a colony of aspen trees turn yellow north of Chama in Rio Arriba County, New Mexico. 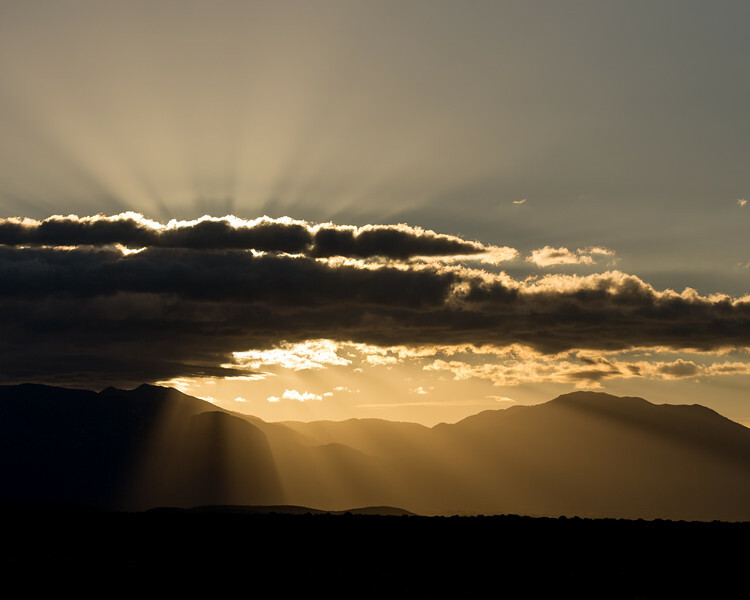 Crepuscular rays raditate from the rising sun above the Sangre de Cristo Mountain on a cold autumn morning in Taos County, New Mexico. 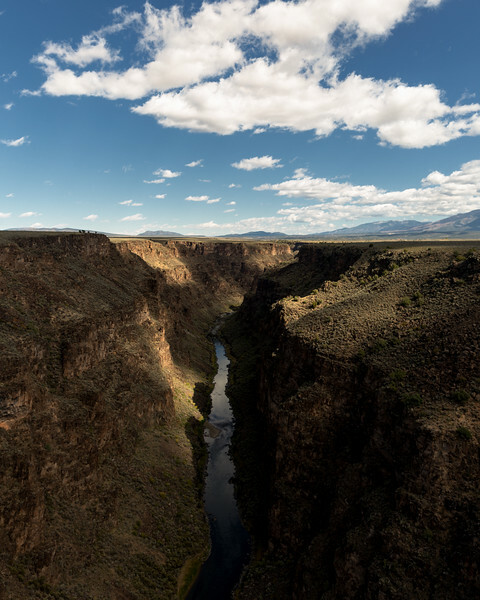 Autumn clouds cast shadows on the Rio Grande in Taos County, New Mexico. 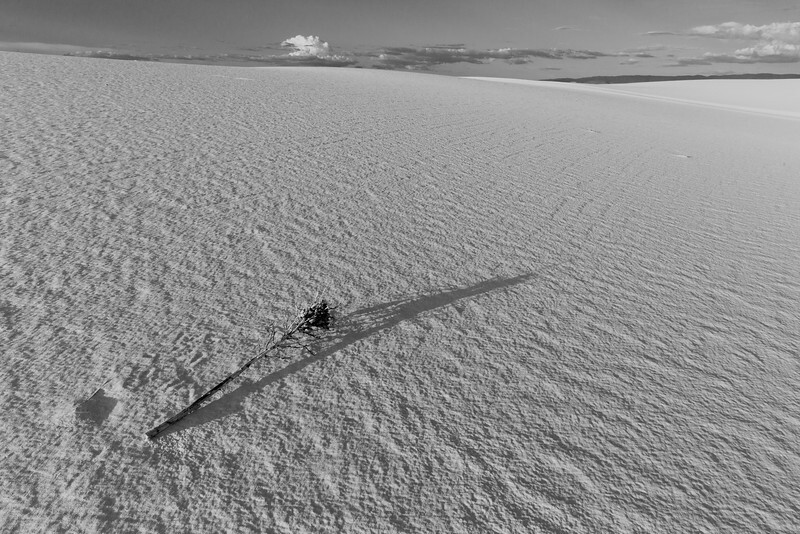 The river flows through an 800 foot deep gorge created by a separation of the earth's crust.